This is part 1 of two posts about the power of mindful parenting and how it can change the way you think and act with your children. Specifically, I talk about what Acceptance and Commitment models are all about and how you can harness its power. You will learn what are the pillars of mindful parenting and get specific tips and techniques to start your journey. Because there's a lot to discuss here, I decided to separate the text into two different posts. Stay tuned next week for the 2nd part. Have you ever felt like there are areas in your life where you just drift and don’t really control where you’re going? Have you ever felt like there are changes you know you want to do but you have no idea how to start doing them? Have you ever felt overwhelmed with the thoughts that rummage around your mind, leaving you frozen or incapable of moving forward? I know that I can answer YES to any of these questions. Whether it’s about parenting or about other areas of importance in my life, I’ve been there – and sometimes I’m still am. 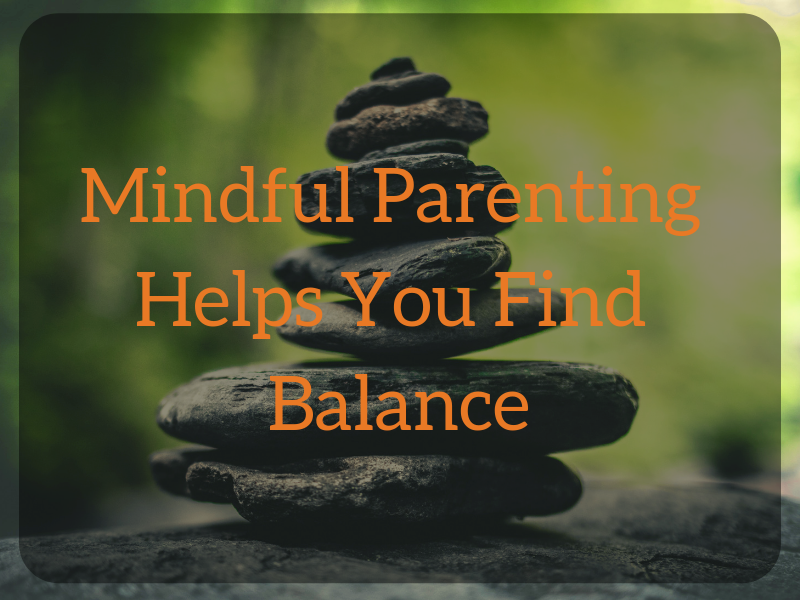 In this post, I want to share with you how mindful parenting helped me deal with these problems, and how I was able to help others as well. 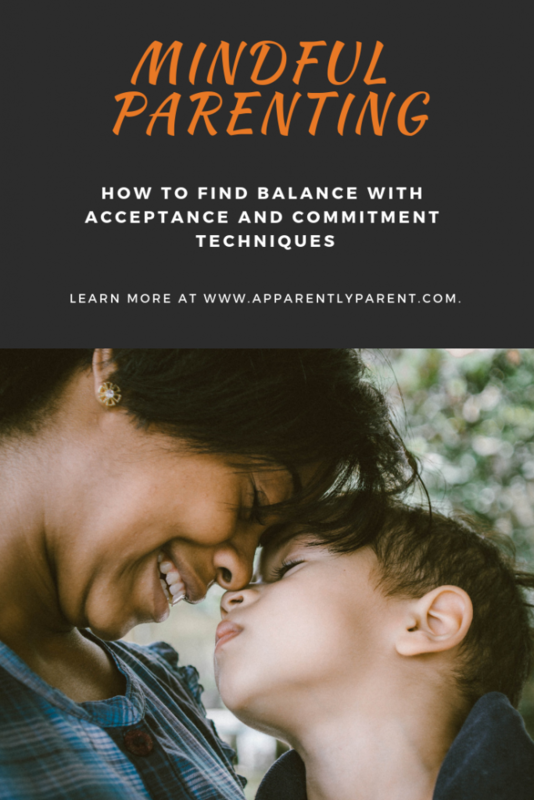 My journey to mindful parenting starting with something called Acceptance and Commitment Therapy, or in short – ACT. This is a blog about parenting, not about psychotherapy. And although I am a psychotherapist, this is the place where I’m helping you deal with your parenting struggles, so why am I bothering you with talking about a model of therapy? I believe that ACT is a lot more than a therapeutic model. One of my colleagues shared with me that when he found ACT he realized that he found a new way of life, and I totally agree with him. I think ACT has a lot to teach us in our daily lives. By implementing the concepts of Acceptance and Commitment Therapy into our daily lives we can achieve a more flexible mindset. Such a mindset will help us get closer to our own needs and be more available to our loved ones. And isn’t that what’s mindful parenting all about? Now, just a quick note. ACT is actually pronounced like that word “Act” and not as the letters A-C-T (that’s opposed to many therapy models like CBT, DBT etc). The reason for that is that ACT emphasizes that we should take a committed action to make our lives better, so its very name gives us the encouragement to, well, act. How did I get to ACT and mindful parenting? I want to share with you the story of how I found ACT in my growth as a therapist because I truly believe it had a good impact on my life – both professionally and personally. This is the reason I use ACT when I work with parents in one-on-one sessions and that I use its principles in what I teach here on Apparently Parent. 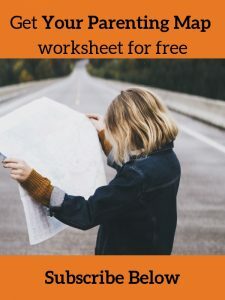 The biggest example for that is the free email course Your Parenting Values that will teach you about finding your values as a parent and shape your life to get closer to be the parent you want to be. I was trained on the bedrock of dynamic psychotherapy. Now, I’m not going to get into what all the different genres of psychotherapy are, but suffice it to say that dynamic therapy, at least in its classical variation, deals with listening to whatever comes up from the client and trying to understand the underlying themes and meaning of things. It’s all good and fine, but for me, during my 4 years long internship to become a licensed psychologist, I felt like I learned how to be a good listener and to help people learn more about themselves, but it lacked the practical parts that I felt were needed to move things forward. So, I started searching and drifted more and more into the types of therapy that pay attention to the here-and-now of what’s going on with the client in the session. That’s how I learned about Jon Kabat Zinn. Kabat Zinn is a professor of medicine who developed a program that was meant to help people with high-stress or pain issues, called MBSR (Mindfulness-Based Stress Reduction). 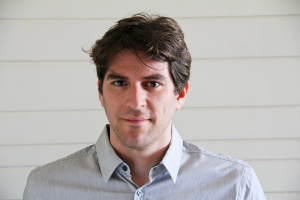 His work – and that of others in the area – grew to a huge research endeavor and today mindfulness-based therapies are used all around the world. When I was about halfway through my internship, Kabat Zinn came for a workshop and a presentation near my hometown and I happily attended. When I learned about the benefits of mindfulness, and especially when I experienced the practice of mindfulness in the workshop, it blew my mind. Something just clicked. But I didn’t want to learn MBSR. I felt like I need something more holistic. So I started reading around the topic of mindfulness, which got me to learn about the Buddhist perspective on psychology, and then I found ACT. When I read my first book about ACT, “ACT Made Simple” by Russ Harris, I felt like I finally landed in the new place I was looking for. It just made sense. As I was starting to use the principles I learned in my work, they started to resonate in my own life. I started to be more mindful, worked on my values and tried to follow committed action as much as I can. These are all concept that I will explain in the next section. The most important element of acceptance and commitment therapy is the emphasis on acceptance towards our inner experience, in a compassionate way. By cultivating a more accepting mindset, we are able to pursue the things in life that are most important to us. By using the principles of mindful parenting, you learn to accept your thoughts, feelings, and sensations, instead of judging them or trying to ignore them. When you stop struggling with your mind, you are freer to act in a mindful way to achieve your goals. Your child’s middle-school teacher calls and asks to see you. In the meeting, she talks about some behavioral issues your child is having lately in the class. He’s not listening in class, doesn’t do his homework like he said he did and sometimes even skipped classes altogether. And if that’s not enough, he managed to get into some fights lately. As you sit and listen, your mind starts racing. You imagine your sweet boy, suddenly all grown up but failing. You imagine him not getting to college, or not being able to keep a job. You worry that he’s learning to use violence instead of talking and you feel guilty for not preventing this all together. You are also filled with anger towards your child, yourself and even the school for letting this happen. As you go back home you lash out on your surprised child and you go to bed feeling worried and confused. Now, notice how almost everything here was a manifestation of your mind. Thoughts and feelings that may be valid, but are pulling you away from yourself. Mindful parenting and ACT means having a good look at your mind, noticing what it tells you and choosing how to act according to your values. I hope you see now how ACT can help you develop a mindful parenting approach. By learning how to put down the struggle, you will be more present with your children and more able to give them the kind of parenting you always wanted to. In the next section, I’m going into the six pillars of ACT and how you can start using them right now to work on your parenting. The main goal of ACT is to help you develop your mental flexibility. So when you are overwhelmed with emotion, thoughts or bodily sensations, you could do something to take you from this rigid place into a more flexible place that will allow you to start moving again. If you want to use ACT methods in your parenting, you don’t need to have perfect knowledge of the six pillars, so I’m going to explain only the main ones that I think are most important right now. Mindfulness is a big part of ACT but it is also present in many other models of working with parents. Values, on the other hand, is for me one of the most important pillars of ACT. Values are actually a big part of my free email course Your Parenting Values. If you subscribed to my mailing list, you received the course to your inbox. If not, now it’s the time. If you read my course, you know that I like to compare parents to captains of a big ship. 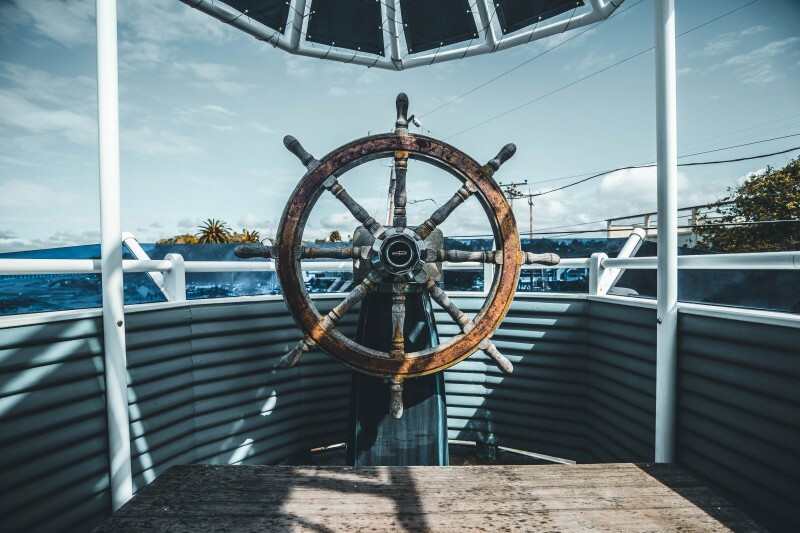 As a parent, it’s up to you to navigate through The Ocean of Life and in this journey you are bound to find bad weather, pirates, and whatnot – those are your thoughts and feelings and other stressors that appear in your life. Your values serve as your compass in the storm. They will guide you how to take the way of committed action that will bring you closer to your desired outcome. In ACT, values are not necessarily dependent on what you learn from society. They are dependent on what you want and not what you think is expected of you. It’s easy to confuse values for goals. Many people will state “I want to stop shouting at my kids as a value, but it’s actually a goal (which can be part of the value “I want to be a calmer parent”). Values are not something you ever fully achieve. They are an ongoing process and a continuous journey. In the way there are many goals and checkpoints that you can get to, but as long as you live you are in this journey. This is why I love to think about a compass. You can always go West without ever getting to “West”. Imagine that you meet an old wizard, who decided to give you a gift. With a simple wave of the wand, you suddenly get rid of all the painful thoughts and feelings that keep you stuck. The sky is bright and everything is open to you. What will you do now with your life? What would you do more of, and what would you do less of? Take a couple of minutes with this exercise and write what’s coming up for you. You’ll start to notice what is more important to you. After we know what kind of parent you want to be, ACT helps us find a way to actually take action and do what it takes to move towards more mindful parenting. Taking a committed action as a parent means taking action when you’re not sure what will happen. And even more than that – it means taking action that you feel may go wrong because of previous experience. A quick example would be dealing with your child’s anxiety. Say that previous experiences you had taught you that exposing your child to what frightens him will provoke an anxiety attack, so you obviously refrain from that. But taking a committed action and helping your child deal with mindful parenting may mean exposing him to that thing, knowing that the anxiety attack may come. Obviously, you should do so while working to help him deal with that anxiety. When you show up, consistently and intentionally, to your parenting, you get better results with your child. That’s the power of committed action. The journey of mindful parenting starts with this: Knowing your Values and choosing to Act in a committed fashion. But now what? Is it that easy? No, not at all. There are barriers you encounter in your mind and the next post will help you figure them out and realize how to battle them using mental defusion techniques, mindfulness, and acceptance. See you next week. In the meantime, tell me in the comments what is important for you to work on as a parent.